Victoria real estate is a prime commodity, as we know, and its luxury section has now ranked second in the world, followed only by Toronto. Propelling this claim to fame, reports are quoting, is Vancouver’s additional 15% tax on all purchases using overseas capital, including American. The money that can’t buy in Vancouver is coming to our wonderful little city, snatching up arguably underpriced luxury properties when compared to our neighbour’s behemoth numbers. Not to mention, based on the weakening Loonie, American investors are looking to move their money north. So, in light of these recent developments and the overall unease in Victoria real estate, let’s change tactics and talk about three great things to look forward to this summer in our great city. I mean, the cat’s already out of the bag, right? Phillips Brewery will play host to several amazing events held in their backlot this summer. Hopoxia returns, offering up 40 different hoppy craft beers for your perusal. Movies Under the Maltworks will give us movies in the backlot, so grab your friends, your camping chairs, a blanket, and get cozy. And The Backyard Weekender is, in my mind, the pinnacle of Phillips’ summer events list, serving their beloved beers while live bands play for this three-day shindig. A favourite of the locals, Gonzales Beach is one of the only spots in the city to offer sandy beaches. Facing south, it is sheltered from the winds and offers beautiful views of the Strait and down to the Olympics. Grab a Red Barn sandwich or wrap from their Oak Bay location, head down Foul Bay Road, and voila: you’ve got the prime makings of a great summer’s day. Pack the sunscreen, though. It gets hot here! I’ve lived here for almost three years now and I still have yet to take a tour of our fair Inner Harbour by ferry. Victoria Harbour Ferry offer tours on the daily, and even if you’re not interested in the actual tour, hop a ferry taxi to get you along the harbour to your various destinations. And if you’re in the mood for a casual pub crawl, sign up for one of the company’s Pickle Pub Crawls. 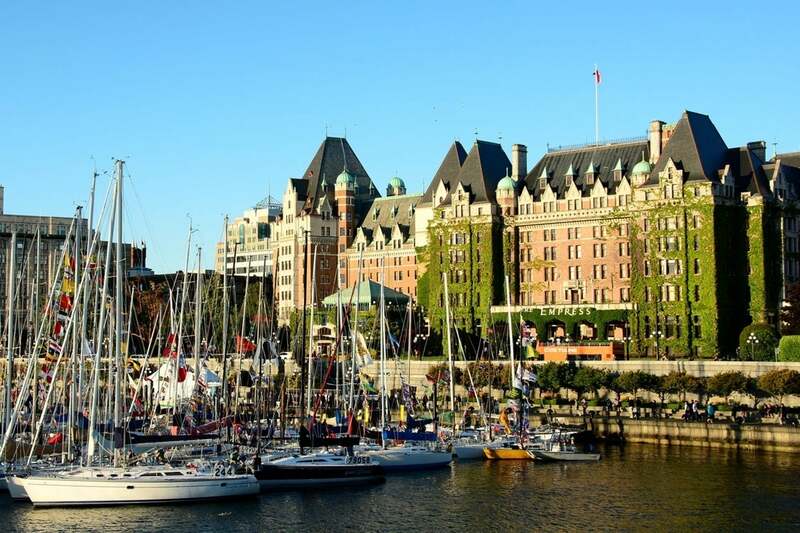 What’s your favourite thing about summer in Victoria? Comment on our Facebook page and let us know!